Joanne McGarry has been working with us for 10 years now. She holds an undergraduate degree in Computer Applications from DCU and a Masters in Data Mining and Business Intelligence from ITB. After graduating Joanne spent time working in Accenture and Industria before joining our Digital & Mobile Team. Can you tell us a little bit more your career path and how that led to your current role as Development Manager? My background is in Software Engineering. I started my career in global professional services firm, Accenture. Having worked there for 2 years primarily with .NET technologies. After my time there I moved to a telecoms company called Industria where I gained commercial Java experience. This combined experience enabled me to apply to Aer Lingus 10 years ago. The original role I applied for was Software Engineer and since then I have progressed from a contract Developer to Permanent Team Lead to my current position as Development Manager on the Digital Enterprise Integration Team. I lead a team who are responsible for the integration layer between our public-facing channels such as aerlingus.com and the mobile app and our backend mainframe systems and third-party partners. I wasn’t fully sure at a young age but I.T. was experiencing a boom when I was applying to university and it sounded like an exciting career path to follow. How do we promote women in Tech? 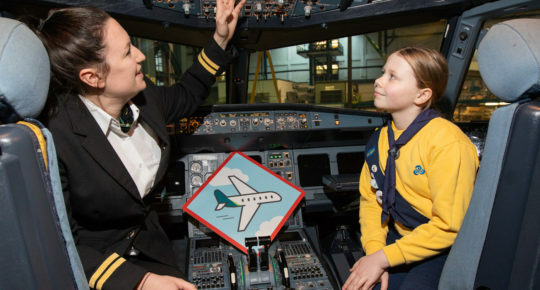 It appears to be difficult to attract women to positions in tech, however, in Aer Lingus we are fortunate to have a number of strong female leaders in Technology including myself as one of the two Development Managers. 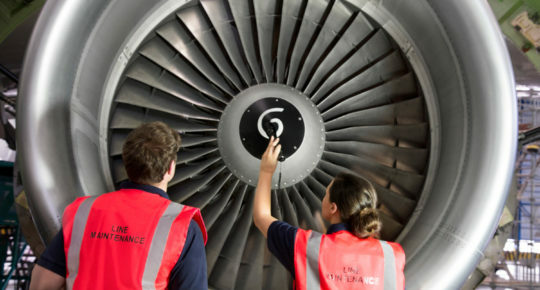 It is important for us to showcase Aer Lingus as a tech company in general and where possible allow flexible working practices in order to attract the best candidates. What do you think we need to do to attract more women to Tech? I would like to see the promotion of careers in tech & science to those still in school and those at college. There needs to be much greater awareness around tech as an attractive career path for both men and women. What is your view on International Women’s Day? I think it’s a really important day as it showcases strong female talent in the workplace. Do you anticipate any recruitment on your team in the near future? Yes, I am actually recruiting at the moment for a Release Manager and 2 Middleware Developers to come and join my team. 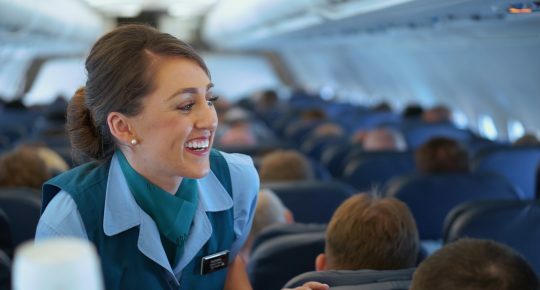 Anyone interested should visit careers.aerlingus.com or email recruit@aerlingus.com for more info.